I apologize for support taking so long to get back to some of you. With there being so many new elves every day the questions are coming in faster than we can answer. I have noticed, however, that some of you are asking the same questions. So instead of answering each of you individually I have decided to answer some of the most common questions here. I hope you don’t mind. Many questions center on Operation Merry Christmas and what your part in it is as an elf. That’s a good question. Operation Merry Christmas is, as you well know, the delivery phase of Christmas. It is what Santa does. All of us play a part in what Santa does. You do what you do to help Santa. You will want to always keep this in mind. 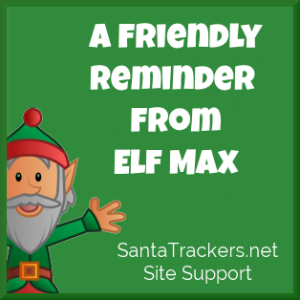 You were accepted as an elf because you live somewhere special and you can share information about where you live that will help Santa as he travels. For example, the other day, we asked for a Chimney Inspection Report. Some of you said “there are no chimneys where I live!”. Then some of you complained that WE should have known that. Well, how can WE know that? That’s why we asked YOU for the report. What’s the first line of the report? It says: “Santa doesn’t always have a chimney to go down.” We know there are places without chimneys. We just don’t know that where you live there are no chimneys. That’s why we need the report! You are the eyes and ears of Santa out there. Your job is to report what you see. Between now and Christmas we are gathering this information for Santa so that when HE gets to your neighborhood he knows as much about it as possible. This will help Santa to travel faster. It will keep the reindeer safe. It will help make for a merrier Christmas. Isn’t a Merry Christmas what Operation Merry Christmas is all about? 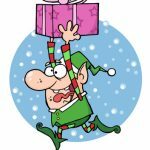 Most of the questions new elves are asking us in support are actually answered on the website. You need to read each page of this site as much as you can and then respond to the requests for information as your supervisor requests them. I hope this helps. Merry Christmas.